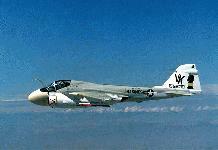 The A-6E was an all-weather, two seat, subsonic, carrier-based attack aircraft. 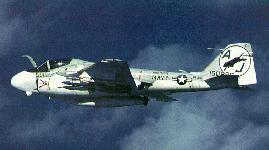 It was equipped with a microminiaturized digital computer, a solid state weapons release system, and a single, integrated track and search radar. 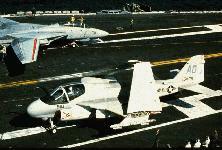 The target recognition/attack multi-sensor (TRAM) version of the A-6E was introduced to the fleet in 1979. It was equipped with a chin turret containing a forward-looking infra-red (FLIR) system and a laser designator and receiver. 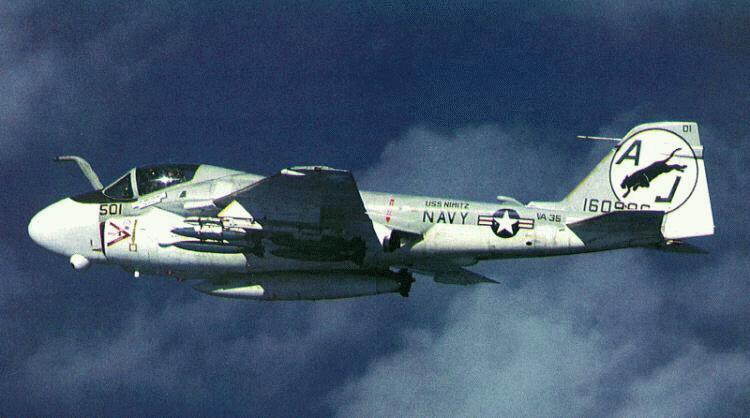 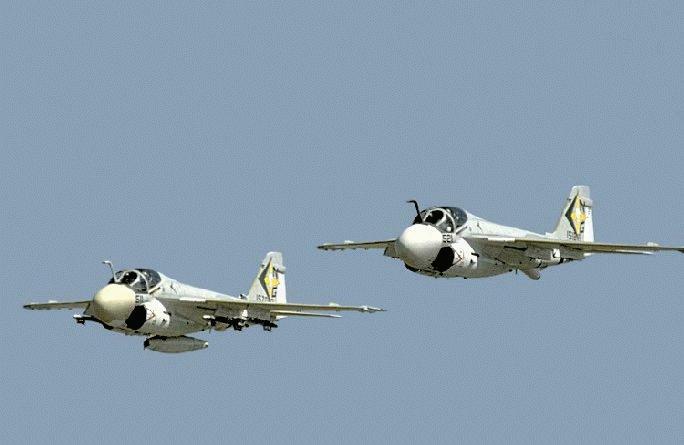 The A-6E proved once again that it was the best all-weather precision bomber in the world in the joint strike on Libyan terrorist-related targets in 1986. 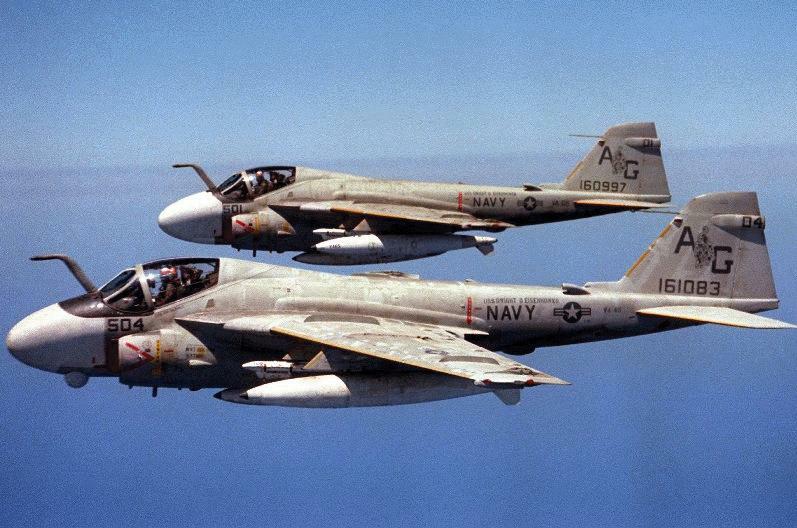 With Air Force FB-111s, A-6E Intruders penetrated the sophisticated Libyan air defense systems, which had been alerted by the high level of diplomatic tension and by rumors of impending attacks. 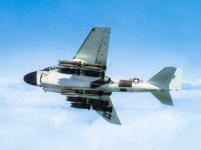 Evading over 100 guided missiles, the strike force flew at low levels in complete darkness, and accurately delivered laser-guided and other ordnance on target. Composite wing replacement and systems/weapons improvement programs maintained full A-6E combat systems capability, with initial operational capability realized in FY 88 with VA-75 deployment onboard USS John F. Kennedy (CV 67). 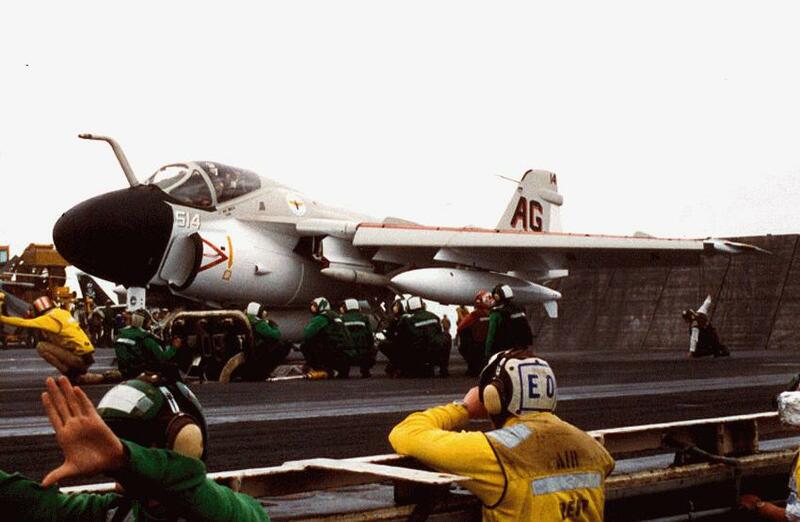 The 19 December 1996 launch of an A-6E Intruder from the aircraft carrier USS Enterprise (CVN 65) marked the last Intruder squadron to fly from the deck of an aircraft carrier. 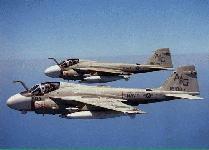 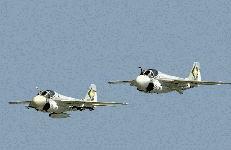 The Intruder Attack Squadron 75 of Carrier Air Wing 7, known as the Sunday Punchers, was decommissioned in early 1997. 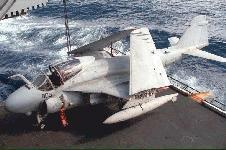 All Weather Attack - Marine A-6 - most excellent indeed!! 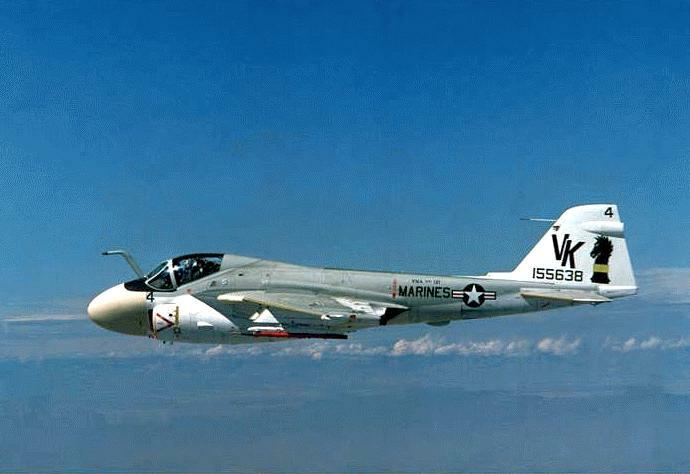 A-6 Tribute includes the must see Low Flight by Anonymous "Oh! 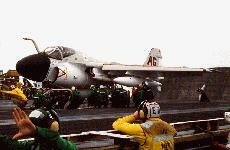 I've slipped through swirling clouds of dust, a few feet from the dirt. 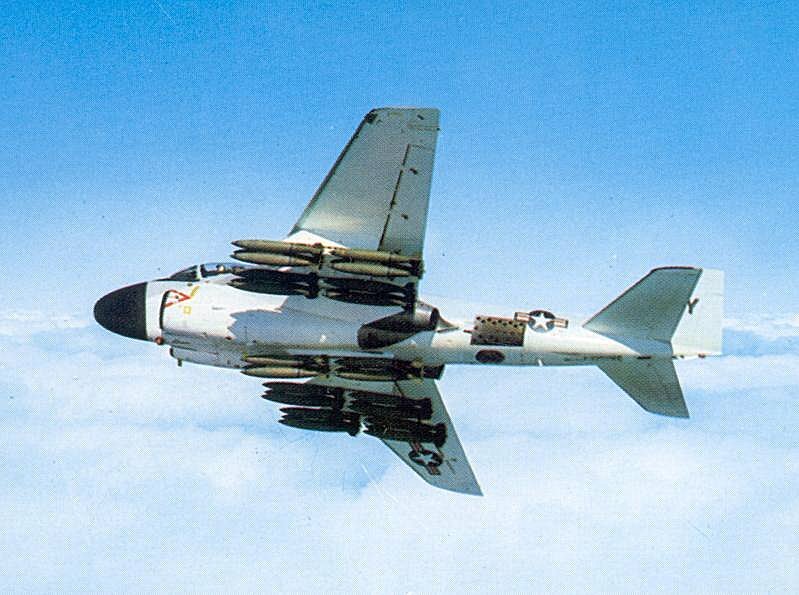 I've flown the Intruder low enough to make my bottom hurt......"